Looking for a quick & fun Halloween dessert for kids? You have to try this dirt pudding recipe! It’s one of my favorite treats to make because it takes just a few minutes to put together and it’s so cute. I’ve always thought that it tastes kind of like a chocolate pie. Like when it falls apart and you just kind of toss it all in a bowl and dig in. Yummmy! This is a really fun recipe to make with your kids (instead of just for them). You can whip up the pudding, then let them do the decorating! We recommend sour gummy worms as decor, but you can use just about any type of worm-like candy (dirt has to have worms, right?). Let’s check out how to make this fun Halloween dessert for kids! Follow the directions on the back of the pudding box (or in the link for the homemade pudding) and set aside. Take two rows of Oreos and pull apart the Oreos, scrape off the cream on one side of the Oreos and add the bare cookies into a ziplock bag. When you close the bag, push out as much of the air as possible so that you don’t pop it open in the next step. Grab a parfait cup and fill the cup 3/4 of the way with the pudding. Top with the crushed Oreos and place in a few worms. Take two rows of Oreos and pull apart the Oreos, scrape off the cream on one side of the Oreos and add the bare cookies into a ziplock bag. Take a rolling pin and crush the Oreos. 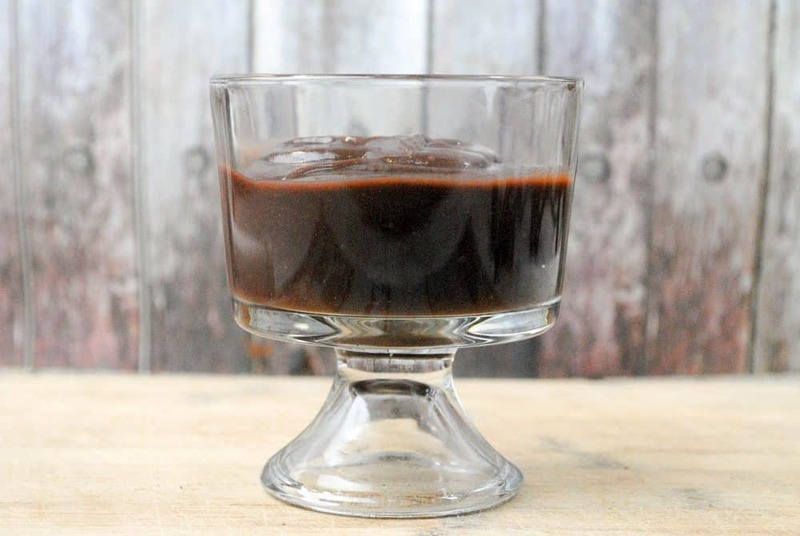 If you’re having a Halloween party, you could make up a large batch of this in a big bowl and maybe bury a few worms under the pudding mixture. Then garnish the top with more. 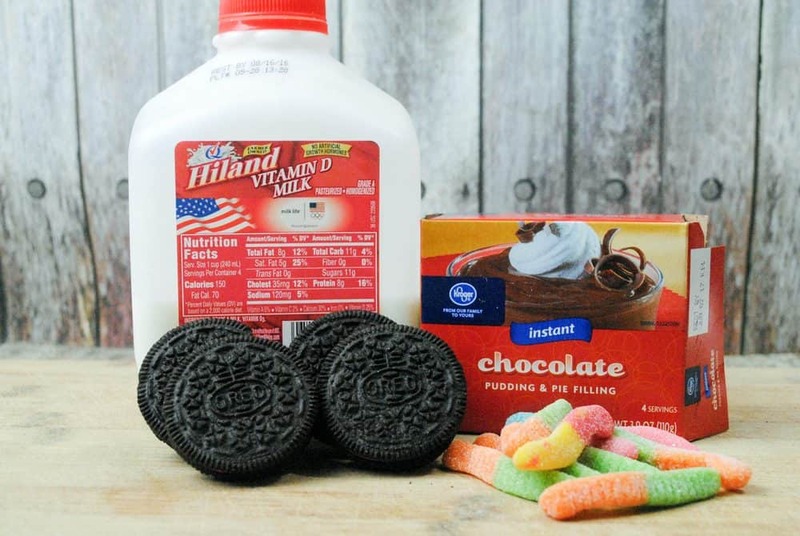 Kids will love digging in and finding wormy surprises (well, as long as they’re candy worms, I don’t think anyone wants to find real worms in their pudding!). Looking for more fun Halloween dessert ideas for kids? 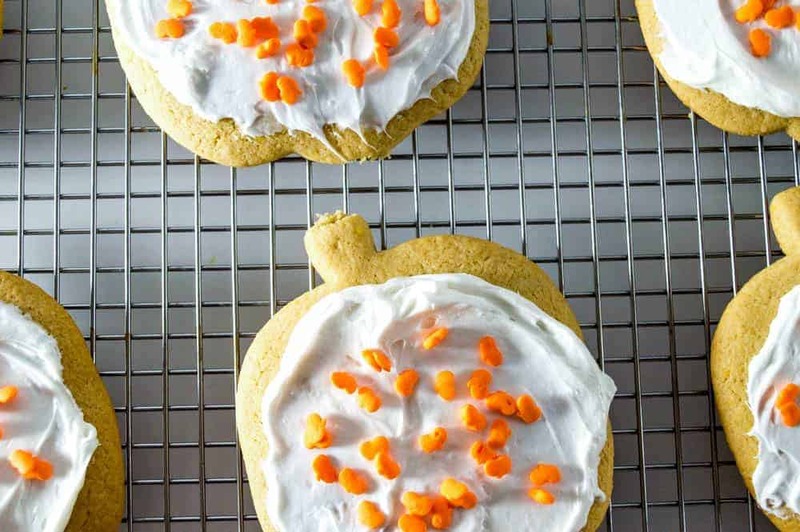 Check out our Yummy Pumpkin-Shaped Halloween Cookies to Make with Your Kids! Do you have a favorite fun Halloween dessert for kids? Share in the comments! Such a cute idea! Thanks for sharing with the Delicious Dishes Recipe party! Wow, that pudding looks so delicious. I want to try making this for the family! I love desserts like this because it’s fun and the kids always love it! Apparently eating something that looks gross is fun for them, haha. It’s really easy to make it gets your creative juices flowing! So awesome! Such a good idea for Halloween season, I love the ideas. This looks delicious and most appropriate for Halloween. Not only kids even adults would love it, I am sure. Dirt pudding is one of my favorite pudding. I will definitely try this one and i am confident that my kids will enjoy it a lot. I would love this for my dessert and wouldn’t mind sharing it with my granddaughter! Sounds disgusting yet really yummy!? My mamma used to make this for us all the time! It was so fun, and so tasty! Simple and tasty. It occurs to me that you could turn this into a halloween theme pretty easily also. My kids would love this. I will have to pick up the ingredients this weekend! 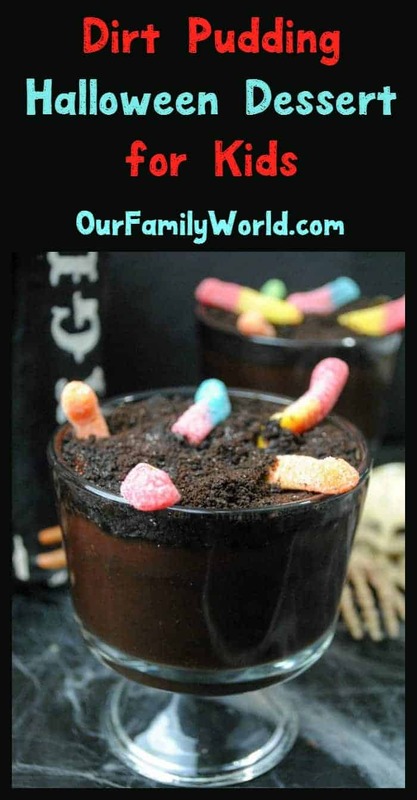 Dirt cups will always be fun to make and fun to eat! Love to eat the worm and the cookies. So fun and tasty at the same time! When my children were younger, dirt pudding was their favorite, too! It is such a fun time of year for spooky treats! 🙂 Love the cookies, too! Dirt pudding is such a fun recipe. My Kids love it when I make some. I will have to get the ingredients I need to make some this weekend. These look so good. I remember making something similar with I was little. These are always yummy! I need to make some with my girls soon too. The recipe for Halloween dirt pudding is an awesome idea. My niece’s kids would indeed love to make and eat these dirt puddings. I will have to make these with them for Halloween. Thanks for shairng the recipe. I have some chocolate pudding cups in the pantry. I should use them to make my kids some of these fun treats. Kiddo loves it when I make dirt pudding for her or a dirt cake. When she was younger she thought it was hilarious. It’s not so funny now that she is old but she loves the way it tastes! My kids would flip out for this dessert!! They are pudding fanatics so this would be right up their alley for this Halloween! 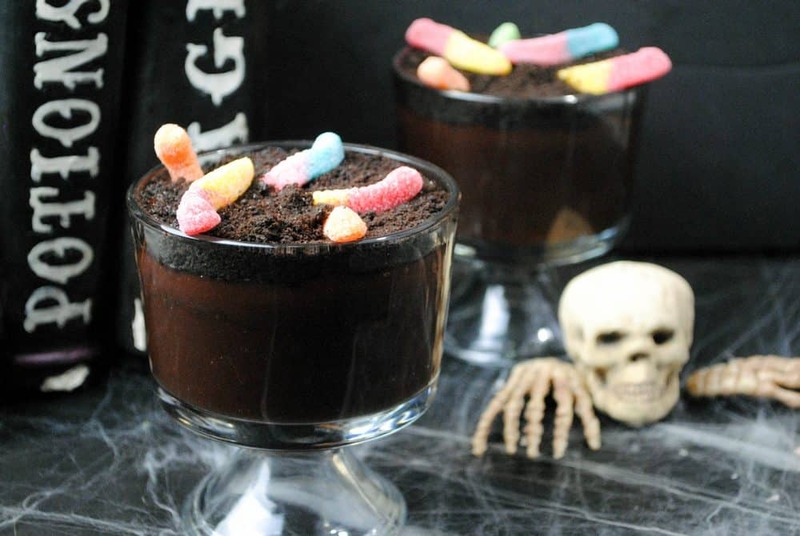 Dirt pudding is my favorite dessert, and it’s SO perfect for Halloween. I love this! What is the Best Baby Food to Start With?